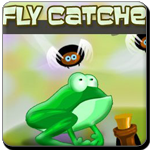 This is a wonderful strategy game where you have to control the frog to make jump and gather all the flies without hitting poison flask to proceed to the next level. You have 60 seconds and limited attempts in each round. Have Fun! Move the colour tiles to a new location. Remove tiles by placing the same colour tiles together. Click on the hatched dinosaurs of groups of three or more to remove them. 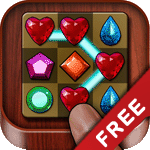 A 3D puzzle game. The objective is to align the number 1 to 24. Spot and match the required pattern before time run out.